A simple fighter has to handle well. Street Fighter and Skullgirls, with their titanic move lists and layered systems, reward skill, possibly more than most other genres. Going in the opposite direction is often appealing, as Divekick demonstrates, though it either leaves you with a tremendous. Black and White Bushido has a fun little versus experience, with a somewhat charming feature, though players may not be interested for very long. 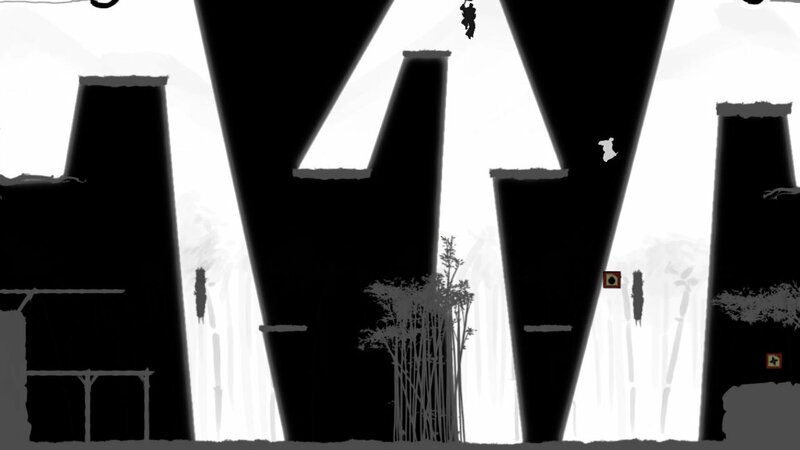 Black and White Bushido is a fighting game, with a light-based twist. 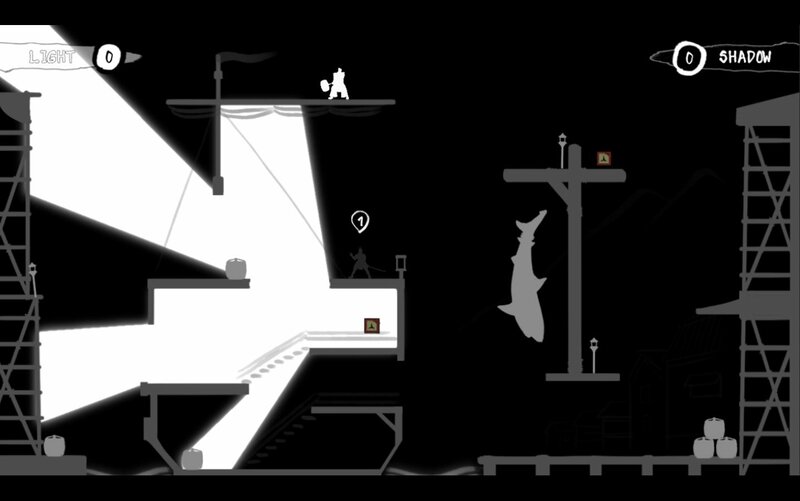 Players choose to be either on the ‘light’ or ‘shadow’ team, their model turning white or black accordingly, before being dropped into a similarly-monochrome area where stark-white light shines down from various angles, blocked by platforms and structures to create areas of pitch blackness. Players of corresponding colour, while standing still, blend in entirely, becoming invisible. Movement and taunting makes you visible, allowing you to draw in enemies to strike them down. Holding directions while pressing attack performs a dashing slash, either clashing with a slashing enemy, or downing them in a spray of crimson blood. It’s stylish, with fast-paced Japanese drums and flutes to keep with the artistic design. Gameplay consists of fast-paced slashing and wall-jumping to get into position to slash your opponents—you’ll need a controller to play, as mouse and keyboard does nothing. The arenas provide the challenge and strategy, both in your movement and in blocking the light that creates areas to favour one of the teams. Using light is key to extending a match beyond a single rush, hiding or misdirecting. That said, matches are still fast, with only a single hit leading to a death—deathmatch requires a certain number of points to win, but a lack of skill can still result in mere seconds. Hiding in the shadows can throw players off, but any movement breaks it—meaning that keen-eyed players can easily pick you up, and slash at your location to kill you even when invisible. Having three or four players allows you to use other players as a distraction, and I feel like the game was designed around having four players—there are only four characters, which are fairly traditional Japanese-style. The game provides three items that aid in your fight, which can give you an advantage when used well. There’s two modes to the versus portion of the game—the deathmatch, and a capture the flag, both common concepts. Deathmatch was greatly preferable to me—the flags presented several problems in the game’s design. Flags took quite some time to capture, and leave you visible and vulnerable to attack as their red turns to your team colour—it’s especially problematic if you’re not playing on a team. It’s enough time to capture if your opponent is trying to cross the map—travelling upwards presents some difficulties with the jumping mechanics. Wall-jumping and a double-jump is required to quickly dislodge a flag-captor, though the mechanics seem to work when they feel like it. Often, I would be unable to leap to a nearby wall to reach a higher vantage, or double-jump with enough strength to get up before the enemy flag vanished. While I never felt like killing someone was glitchy or unfair, with clashing and dashing feeling quick and rewarding, simply moving around could become an exercise in frustration. The five levels are largely the same, save for different platform layout and light patterns (affected by your performance in the match to aid you with better light or shadow). There’s no plot to speak of, but that’s fine. This kind of game doesn’t really need it; it’s about cutting up your enemies. I never found if there was an online mode, only local play, and that just isn’t great for PC. There is a challenge mode, where you compete against the computer and others to a set of objectives for points, but it doesn’t really expand upon the formula much. Ultimately, I find myself exhausting my criticisms to give. The game’s quite simple, a basic one-hit fighter with a cool design. It can be fun to play, but I don’t see any staying power. You can pick up the game quickly, you can learn it, and then you can step away. I’m not sure if I should feel any different—it’d be a fun party game or quick relaxer, which is all a game needs to be, but I still felt like there was more that could be done with the mechanic. Perhaps modes where one could hold objectives on the level, to spread light down or snuff it to control the battlefield? In the end, it’s enjoyable while it lasts. Black and White Bushido has a fun little versus experience, with a somewhat charming feature, though players may not be interested for very long.